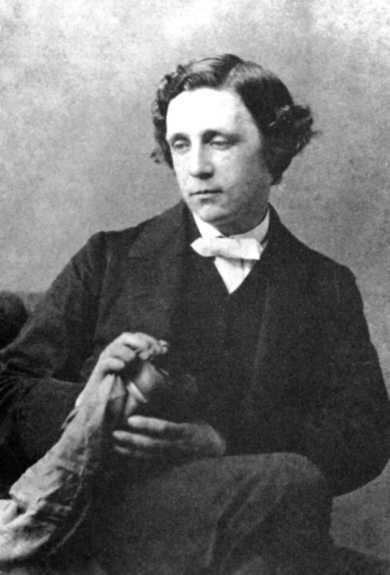 Charles Dodgson, better known by his penname--Lewis Carroll, became well acquainted with the MacDonald family starting in 1862, having first met Greville and one of his older sisters at the studio of the famous sculptor Alexander Munro. Greville was a handsome young boy (about five or six at the time) and Munro had asked him to be his model for a statue that was to become part of a water fountain at Hyde Park Corner in London. 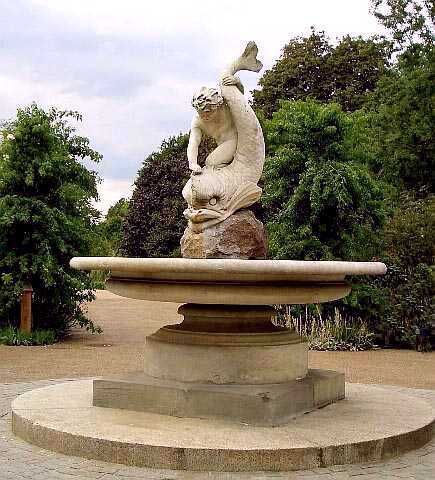 The statue for the fountain is perhaps the oddest thing Munro ever sculpted, called "Boy with Dolphin", the boy looking sweet, almost angelic, but the dolphin looking monstrously unnatural and purposely so. The dolphin is missing the characteristic top-fin that dolphins are known for and has a body more like a serpent than a fish. One can only guess that Munro might have been trying to portray a sense of what a dolphin might have looked like in Fairyland with a head like an ogre or a troll to some extent. 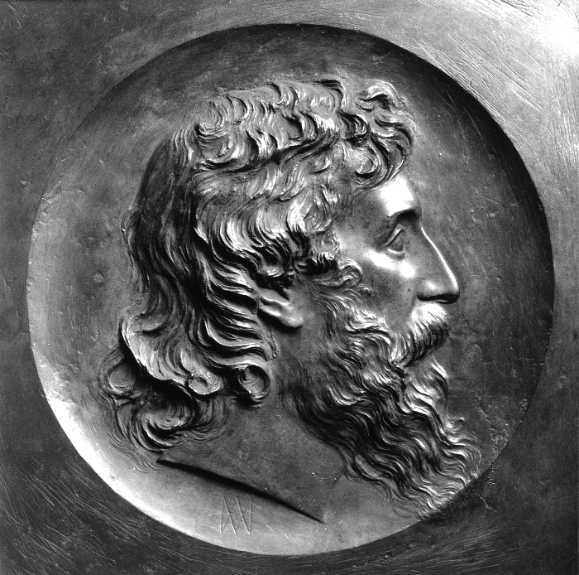 Munro four years earlier had modeled a medallion of George MacDonald's head, copied casts of which hang in the National Portrait Gallery in Edinburgh, and at King's College, Aberdeen respectively. Munro would eventually introduce George MacDonald to several new friends over the years. Perhaps the most important to MacDonald's literary life was Arthur Hughes, the artist who would go on to illustrate several of his children's stories such as At the Back of the North Wind. Carroll was of course the author of such well known children's classics as Alice's Adventures in Wonderland, Through the Looking Glass and What Alice Found There, Sylvie and Bruno, and The Hunting of the Snark. He was also an excellent mathematician and was part of the mathematics department at Oxford for most of his adult life. Curiously, the books he wrote concerning mathematics he would have published under his real name. One may conjecture that he simply liked keeping his professional life separate from his lucrative hobby of writing fiction almost entirely for children. Carroll not only got along nicely with the MacDonald children but with their parents as well. He was a regular guest at their home for many years, and when not having fun with their youngsters, he and George MacDonald would often talk of literature, metaphysics, and the spiritual life. He had already made the friendship of Ruskin several years earlier, and he, like George, would become an aficionado of F.D. Maurice. Carroll wrote his first "Alice" story with his own illustrations in 1863 then called, Alice's Adventures Under Ground. He brought the fairytale to George MacDonald wanting his opinion on the story's merits. MacDonald instead decided that the best test of the story would be to have his wife read it to his own small children. The MacDonald tots thoroughly enjoyed the tale and the whole family then urged Carroll to try to have it published. At the time, the manuscript was approximately half the size we know it today, and it was George MacDonald who encouraged Carroll to lengthen it. Lewis Carroll's brother, Wilfred Dodgson, taught George MacDonald's athletic daughter, Mary, to box. Mary seemed to be quite a favorite with Carroll and he wrote many letters to her over the years. He also named a cat in his Through the Looking Glass story after Mary's real life cat--Snowdrop. The next question is, what is the best time for seeing Fairies? I believe I can tell you all about that. The first rule is, that it must be a very hot day—that we may consider as settled: and you must be just a little sleepy—but not too sleepy to keep your eyes open, mind. Well, and you ought to feel a little—what one may call "fairyish "—the Scotch call it "eerie," and perhaps that's a prettier word; if you don't know what it means, I'm afraid I can hardly explain it; you must wait till you meet a Fairy, and then you'll know. 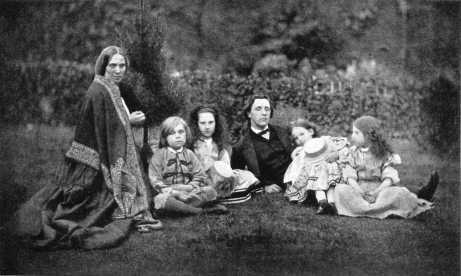 Lewis Carroll's biographers, like so many 20th century scholars, managed to see things that weren't there in his personal life related to his affiliations with children. Some of this is addressed in the full biography text of this website.